Here's a fact that may surprise you. BritBox actually has more titles than Acorn TV. BritBox just has kind of an awkward interface that makes discovery a bit challenging (though Acorn's interface got MUCH worse after their recent update). Now, the fact that they have more titles doesn't necessarily mean you'll like BritBox better, because they each have different types of content and there are very few titles that overlap (Midsomer Murders is one you'll find on both). 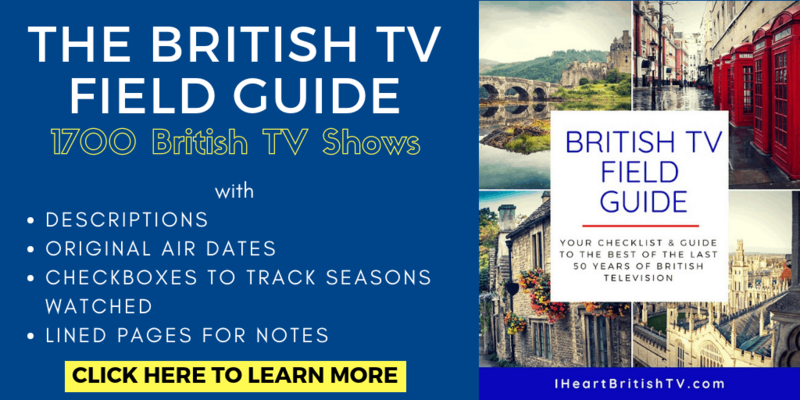 While we strongly recommend subscribing to both, we've put together a BritBox vs. Acorn TV comparison guide to help you decide between them if you don't have the time or budget for that. 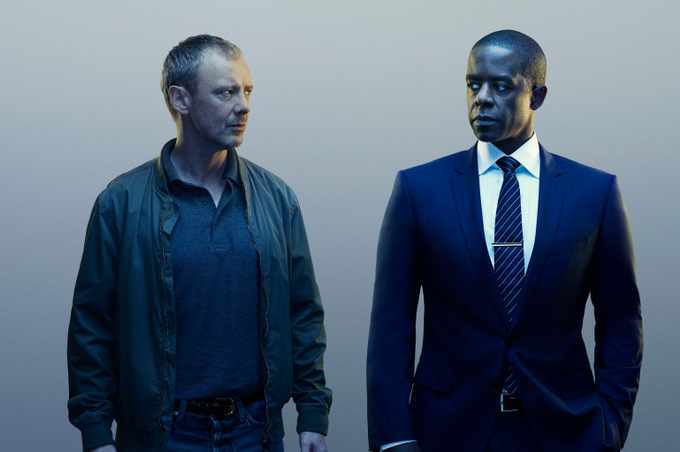 If you're already a BritBox member and you just don't know what to watch, here's our take on the best shows on BritBox. At last count, BritBox had a little over 300 different programs available in their streaming library. This changes from month to month, of course, as new shows are added and others are removed. When the service began in 2017, the total number of programs was closer to 200, but it's been climbing slowly and steadily since then. Want to give BritBox a try? At time of writing, you can get a free 7-day trial here. 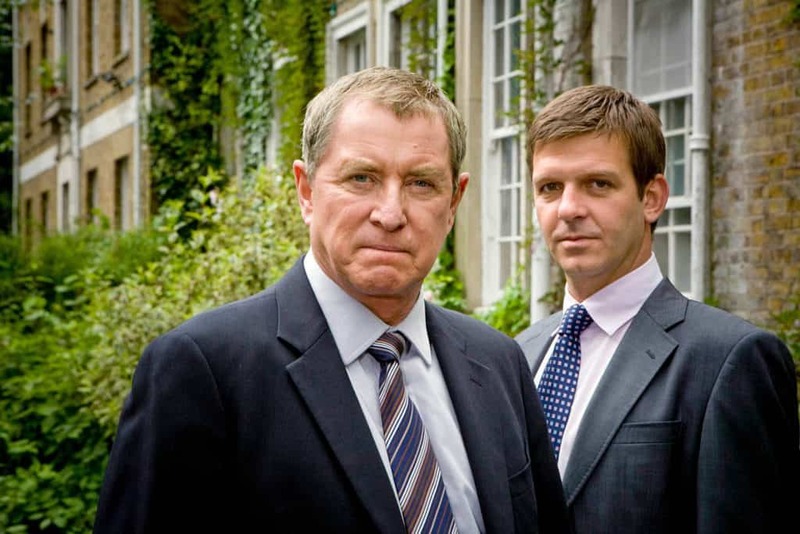 Midsomer Murders – As of early 2018, BritBox now carries all 20 seasons of the quintessential British mystery classic. Vera – Acorn TV used to get the new seasons first, but Series 8 premiered earlier this year on BritBox. There's no official word on where Series 9 will end up in early 2019, but if we were betting, our money would be on Britbox. As Time Goes By – Two lovers are reunited in their senior years after a misunderstanding drove them apart decades earlier. Stars the delightful Dame Judi Dench alongside Geoffrey Palmer. If you like to binge watch shows with tons of series, it's worth noting that this one has 9. Cold Feet – While this popular dramedy originally premiered in the late 90s, they recently returned for a reboot. The cast is a little older these days, and the issues are a bit different, but it's still quality television. Keeping Up Appearances – Patricia Routledge stars as the snooty but lovable Hyacinth Bucket (that’s BOUQUET). Inspector Morse – John Thaw stars as the classic Oxford detective. Fawlty Towers – John Cleese and Prunella Scales star in this wonderful but way too short comedy about a quirky husband and wife who run a small hotel. 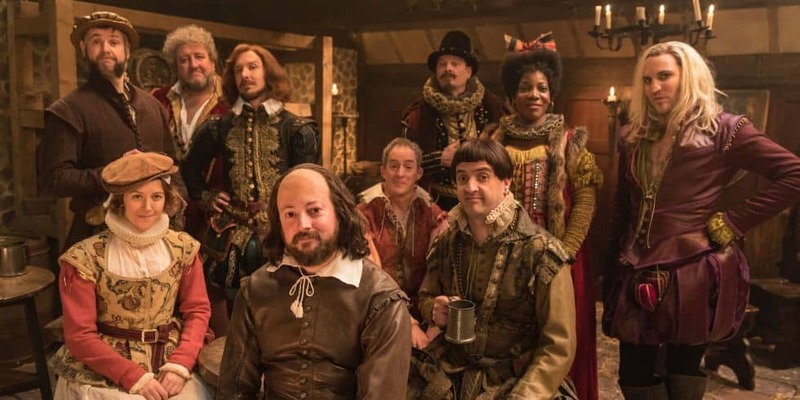 Narrowing the list down to 10 was far too restrictive, and many British TV fans will have already watched most of those, anyway. So – let's talk about what you might want to explore after you work your way through those. 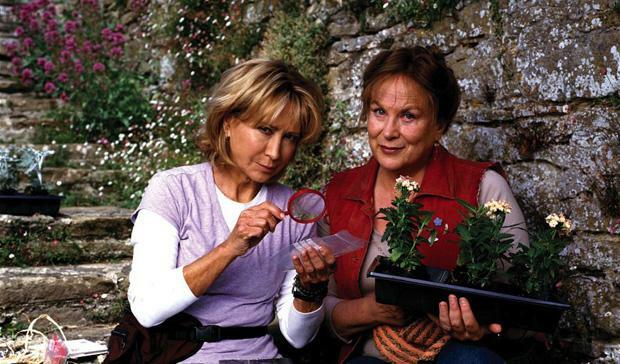 Rosemary & Thyme – Two older women become unintentional detectives after partnering up as gardeners. New Blood – This new crime drama features two young detectives working together to fight a new breed of capitalistic criminals. Inspector Lynley Mysteries – Oxford-educated DI Thomas Lynley works alongside his working class assistant Sergeant Barbara Havers. Dalziel & Pascoe – Two cops – one old school, one new – don’t always get along, but they always get their man. Cracker – Cracker is an unrefined but intelligent criminal psychologist who helps to solve difficult crimes by considering what’s going on in their twisted little minds. Cadfael – Derek Jacobi plays Cadfael, a crime-solving 12th century monk. Boon – Ex-firemen Ken Boon is rendered unfit for duty after injuries sustained while saving a child’s life. Forced into early retirement and much in need of an income, he advertises his availability for “anything legal” and winds up working as a private investigator. Prime Suspect – Helen Mirren stars as DCI Jane Tennison, a determined female cop in the overwhelmingly male police world of the early 1990s. Miss Marple – BritBox carries 3 seasons from the classic 1980s Marple series. Agatha Christie’s Poirot – BritBox carries the first 6 seasons of the classic David Suchet Poirot. Jonathan Creek – An inventor of tricks for a popular magician also helps solve crimes that seem impossible. Hetty Wainthropp Investigates – Patricia Routledge stars as a plucky old pensioner who solves crimes alongside her patient husband and the at-risk teenager they adopted. A Touch of Frost – David Jason stars as DI Jack Frost in this police drama about a disorganized but highly effective detective. Life on Mars – This unique “is it a time travel show or not” police drama stars John Simm as a Manchester cop who suffers serious injuries and wakes up to find himself as a cop in 1970s Manchester. Young Hyacinth – This 2016 special is a prequel to Keeping Up Appearances. Our only complaint is that they didn't turn it into an ongoing series. Father Ted – This classic comedy features three strange priests living together in a small Irish village. Blackadder – Rowan Atkinson stars in this classic comedy about a fictional British anti-hero. Absolutely Fabulous – This much-loved comedy features the adventures of two middle-aged women who live an unabashedly narcissistic lifestyle. Are You Being Served? – We’re still not sure how the employees of Grace Brothers department store manages to keep the place in the black, but we enjoy watching them do it. Red Dwarf – Red Dwarf is a sci-fi sitcom that showcases the adventures of the last human and his friends, drifting aboard an old mining spaceship. Last of the Summer Wine – While BritBox only has a handful of episodes out of the 37 seasons produced, it’s still worth mentioning because those old Yorkshiremen are just so funny. Update: In late June 2018, they'll be adding the first 5 series to the mix. Only Fools & Horses – Two slightly dodgy brothers from London wheel and deal, always looking for that big score. The Job Lot – BritBox offers 3 seasons of this West Midlands-based comedy about employees at a job centre. Rev – An underdog vicar tries to keep things together at a run-down urban church. Not Safe for Work – This raunchy workplace comedy shows civil service inefficiency at its finest. The Moorside – This 2017 true-crime drama about the disappearance and reappearance of a child drew huge numbers in the UK. Classic Doctor Who – The time traveling time lord likely needs no special introduction. Brideshead Revisited – Two young men meet at Oxford and remain in one another’s lives for years afterwards. Ballykissangel – An urban priest is transferred to a rural Irish village and must learn to integrate with the community. While this is probably best described as a drama, it's not a heavy one. There are plenty of amusing, light-hearted moments. Tales from the Coast with Robson Green – Grantchester star Robson Green travels around the UK’s coastline (including a great Scottish islands episode). This is a must-watch for anyone Robson Green fan. Antiques Roadshow – People bring in items to have them appraised by experts. Nigellissima – Nigella does Italian cuisine. Coast – This long-running program features various parts of the coast in and around the British Isles. It's one part travel, one part history, and one part nature documentary (and it's absolutely wonderful). Escape to the Country – This rural British house-hunting show can be a bit jarring for Americans familiar with HGTV’s House Hunters, as shoppers frequently reject all the properties they visited (American shows often require participants to have already chosen or purchased their new home prior to filming). Home Away From Home – Brits swap houses, often with entertaining results. Flog It – People attempt to sell their antiques. If you're an American who enjoys British soaps, there's no better streaming service you could have. BritBox has all the big ones (though if you're looking for the popular Irish soap Red Rock, you can watch it here with Amazon Prime, at least at the time of writing). EastEnders – This slightly newer (but still nearly 30-year-old) soap is set in the fictional London borough of Walford around a Victorian square that includes a pub (The Queen Vic), a market, a launderette, and a cafe. 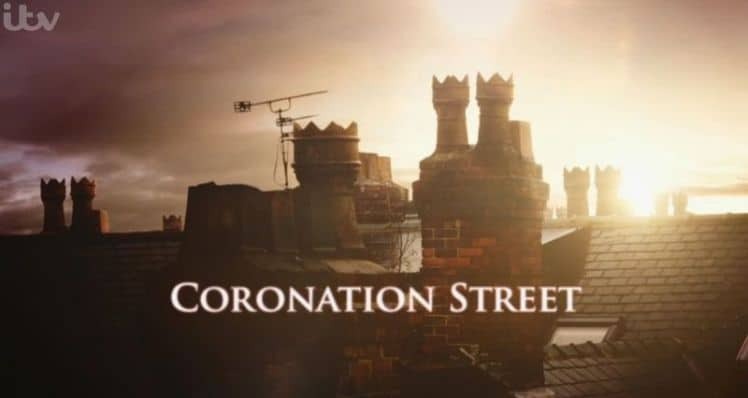 Coronation Street – This long-running British soap opera is set in the fictional town of Wetherfield, home to cobbled streets among terrace houses and a trusty local watering hole, the Rovers Return pub. Emmerdale – Emmerdale has been around a little longer than Corrie, but it’s often regarded as the younger, sexier cousin of the other two big soaps. This is probably due to the sort of re-brand they did years ago. Casualty – This is the longest-running medical drama in the world, and it centers around the lives of the emergency room staff and patients at Holby City Hospital. Holby City – Holby City is a spin-off of Casualty, and it occurs in the same hospital with frequent cross-overs between the two “worlds”. What's Your Favorite TV Series on BritBox? Given the sheer volume of titles on BritBox, it's all but guaranteed we've missed plenty of great ones. What's your favorite? Let us know in the comments! Why does neither Britbox nor Acorn show Mysterious Affair at Styles? It is my favorite Hercule Poirot mystery. IMO Hulu has more good British TV than Britbox does. How do you find them? If I don’t know if a program is British, or the name of a program, how do I find it. Hi. Don’t know quite how you find them, but I can tell you my favorite British detective dramas that I’ve seen over the past couple of years. These are all filmed mostly on location; that’s part of what makes them so great; the location becomes part of the story: Shetland (Shetland Islands, Scotland), Broadchurch (southwest coast, England), Hinterland (Wales), Happy Valley(Yorkshire County, England), Vera(Northumberland County, England,borders on Scotland). Hard for me to pick a favorite out of those. Hope that helps some. I do not use Hulu, however, so these are mostly on Netflix, and some on BritBox (tho Vera, which I love is mixed between AcornTV and Britbox; annoying. I got both thru Amazon, but had to pay for each service). I have watched British TV for many years and will continue to do so. Vicar of Dibley, As Time Goes By, Midsummer Wine are just a few of my favorites. The newer mystery programs are excellent as are the travel documentaries. All in all I spend most of my time with Doc Martin and Heddy Winthrop. Wish new episodes come quicker. I have both Acorn and Britbox and haven’t found anything not worth watching. I looked at Britbox and am impressed with the lineup of shows they have to offer. til now. Does anyone know where to find those? I would prefer that I don’t have to pay for them by episode of by season. Thank you. til now. Does anyone know where to find those? I would prefer that I don’t have to pay for them by episode or by season as I have a limited means. Thank you! I agree. The original Poldark and Danger UXB come to mind. As well as Connections. due to the hype about 2 months ago about the “Patrick Melrose” co-production starring Benedict Cumberbatch and made by Showtime and Sky Atlantic in the UK, I decided that I’d like to figure out how to watch that show, as well as a few other UK programs, in the US, where I currently live. My initial internet search results included your guide on how to use Roku, etc., so that’s how I found your site. I lived in the UK for a long time (and paid the exorbitant, required, annual, governmental TV Licence, of course! ), and when I would travel out of the country back then, I also had relatively easy online access to BBC iPlayer and the similar services from ITV and Channel 4, as many UK residents did, so I could watch the entire range of current output of those stations, and much of their historical programming besides. Being in the US now, and with the much-more-restricted versions of those channels’ internet services/”players” in the last couple of years, watching online in that way is no longer available to me. I MISS IT SO MUCH! Anyway, I have been out of the loop in recent years, but I have been vaguely aware that there are some newish options to see UK shows in the US, like Netflix, Hulu Plus, and Amazon Prime Video — and this week I have learned about Britbox and Acorn too — so that’s great. I have obtained a tv, and I just need to get a Roku device (which is the method I have decided to try first) and get started. I don’t think you have mentioned in your blog the “Patrick Melrose” series which was shown on Showtime in the US this spring, almost contemporaneously to being shown on Sky Atlantic in the UK. It was a major production starring Benedict Cumberbatch (of “Sherlock” fame) and has been nominated for a lot of awards, so I expect that it might be of interest to many of your site visitors. When it was being shown in the US on Showtime in May, I found out that Showtime has a week’s free trial, so I plotted how I could wait until the last episode was aired, and then see all the episodes at once during my “free week” (since I wouldn’t be interested in subscribing to Showtime otherwise), but I still didn’t have a tv by that point, and time got away from me. I don’t know if Showtime is still airing the Patrick Melrose episodes, but they might be. That is a program/topic that you might be interested in blogging about. There don’t seem to be many Channel 4 (one of the main UK terrestrial networks) programs available via streaming in the US – at least I haven’t seen many mentioned. It’s all BBC and ITV, plus co-productions with PBS/WGBH etc. …Well, I guess it is because BBC and ITV hold more of the rights to their programs, whereas C4 was set up mainly to work with independent production companies. Okay, so this isn’t very highbrow, ha ha, but for anyone who reads the Daily Mail Online in the US (and it’s one of the top 10 visited sites in the world, or something like that), several of the reality “stars” of this tv show will be familiar names/faces. I haven’t seen a mention of this programme on your site, but yesterday I found a US website, view.yahoo.com, where ALL (it seemed) of the many episodes of TOWIE appeared to be streamable in the US, for free. I didn’t spend any time yesterday to check into it, but some people might be interested in watching that. I’m a bit of a oddball – I often watched news-related BBC and Channel 4 shows, like BBC Newsnight, Panorama, Question Time, This Week, Dispatches, C4’s evening news, and the BBC news/comedy/quiz show “Have I Got News for You”. I really miss seeing the weekly HIGNFY program, even though there have been recent UK newspaper reports that it’s coming to the end of its road (or should be). Is there ANY way I can see HIGNFY and/or the Question Time and Panorama types of news/current events programs via streaming in the US? “Trust Me, I’m a Doctor”, “What Not to Wear”, “How to Look Good Naked”, “Ten Years Younger”, “Life Laundry”, “Country House Rescue”, “The Hoarder Next Door”, “How Clean is Your House”, “Supersize vs Superskinny”, the Mary Portas shows about high street shops, etc. etc. — yes, I watched a lot of self-help type of UK tv programs! I don’t see any of these types of shows mentioned as being streamable in the US — do you know of any ways to see such shows? In your blog posts, you mentioned a service a few times called “UKTVEverywhere”, but you didn’t describe it in depth the way you did Roku, Acorn, Amazon Prime Video, etc. I am wondering if that service is still an option in the US, and what exactly is it? You said it was expensive. Is it a legal method to see UK tv here? I think I saw in your blog overview of the Roku service where you said the particular Roku receiver/equipment which has the composite wires (the red, white, and yellow connections which will work with tvs that are older and do not have the modern HDMI port built-in) is no longer being sold/made, but I don’t think that is correct, because they introduced the Roku Express+ (Plus), model 3910, just recently in November 2017 (which is the date they introduced the other equipment in their current lineup), and I have seen it being sold this week on Walmart online and Amazon online (just to mention 2 retailers). At Walmart, it is only $35 I think, which isn’t bad at all. I am thinking of getting one for an elderly relative of mine who keeps an old tv in her garage and does her ironing there in front of it, and she pays an extra $10 a month to have an extra cable box for that tv that only lets her get a couple dozen channels (because the tv doesn’t have an HDMI port), and she doesn’t even like most of those channels, so it’s an unnecessary expense. Before I do that though, I want to get the regular Roku Express for my own tv, to learn how it works. Thank you for your informative site, and best wishes! I am disappointed that there has been no response to my 2 above comments+questions from the blogger, even though I also contacted her via the private contact form to point them out. 1. Apparently some public libraries in the US allow their library card holders to access Acorn TV for free! My local library does not, unfortunately. 2. I have discovered that many episodes of the classic UK tv programme “Inspector Morse” are available for FREE via the free Roku channel “Tubi”. I can confirm that this works, because I set up my new Roku at home two days ago, and the first thing I watched on it was a Morse episode. “Tubi” is free and supported with ads. The first Morse programme I watched only had 3 ads during the 90 minutes, and they all came about 10 minutes before the end. The second Morse programme I watched on my Roku via Tubi had more ads, and they started sooner into the programme, perhaps about 15 minutes in. However, the Tubi ads are nothing compared to the long, repetitive ad breaks within programmes on Channel 4’s and ITV’s free streaming players (which are only legal for UK residents within the UK to use), so I was pleasantly surprised. I think the “Inspector Morse” rights for the US must have seen some movement in the last couple of years from service to service, because in my online research before I bought the Roku streaming device, I never saw a mention of the Tubi channel having Morse, and I saw mentions of other services having Morse, but I discovered this week that they no longer do. According to Wikipedia, Inspector Morse had 12 seasons and 33 episodes total. There was a brief glitch that caused some people to have problems streaming them for a bit, but they’re both there now. I don’t see my favorite mysteries. Not the two newer spinoffs of Morse. No Grantchester. And what about all the Australian series? Grantchester, Lewis, and Endeavour are not on BritBox (they’re on Amazon Prime Video, though), and BritBox doesn’t carry any Australian series. 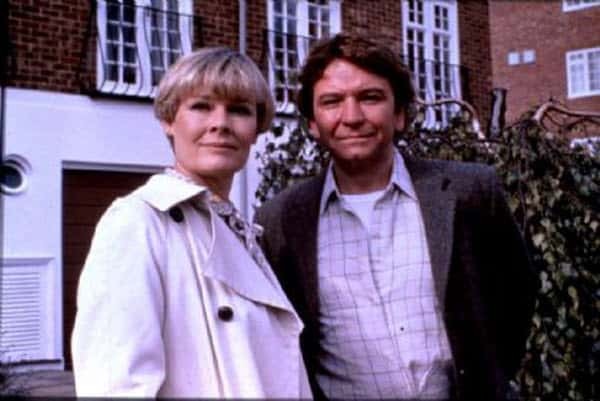 Neither Britbox or Acorn offers the full Lewis series, only the pilot. I hope one of them offers it soon. Would also love to see Wallander. Any news on that front? Hello. My entire family loved Lovejoy Mysteries. Does Brit Box offer this series?? BritBox doesn’t currently have that one. You can find it on PBS Masterpiece through Amazon, though. I didn’t read all the comments, so apologies if I missed it — what about Whitechapel? I just binged — it is wonderful.